D.C. police are keeping extra watch for illegal turns on Pennsylvania Avenue as part of the effort to make room for cyclists in the District. 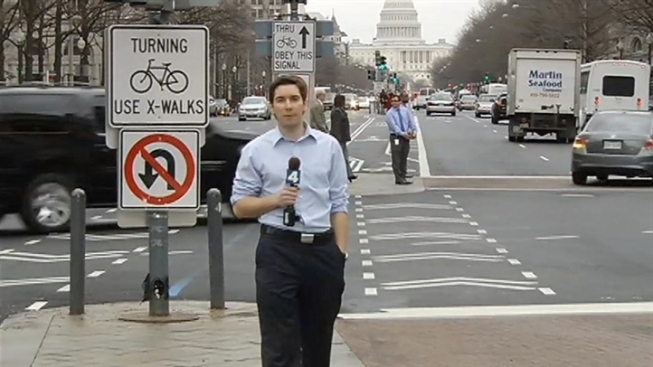 Over the past couple of years, 11 crashes between cars and bikes involved cars making U-turns through the mid-block bike lanes on Pennsylvania Avenue. Drivers face $100 tickets for making the illegal moves. Officers along Pennsylvania Avenue Wednesday handed out flyers reminding drivers not to make the U-turns, but the U-turns continued. Shane Farthing with the Washington Area Bicyclists Association said the number of bicycles in the city continues to grow, and cars and cyclists need to continue to share the road.